Shaving your body can definitely be quite the nuisance if you are a woman. It has become the norm for a woman not to have any hair on the body, other than on her head; this new way of “beauty” comes with its fair share of hiccups. Shaving can be the worst if you have sensitive skin, and many women pray for colder weather so they can wear pants outside without having to show off their legs. However, summer is here, and it is bikini season, so a lot of women are looking for an upgrade for their shavers and razors. An epilator gets the job done like waxing; it looks like an electric shaver, but it works in a completely different manner. If you are looking to get the hair on your body ready for a bikini, it can be quite difficult, and also very painful if you do not get the right device. With so many on the market today, how can you know which one to buy and which to stay away from? The key to finding a great shaver and epilator is that you should be able to use it in the shower, for an easy clean, and that it does not hurt when you use it. Today we are going to be looking at the Panasonic ES-ED50-N Multi-Functional Wet/Dry Shaver and Epilator for Women, one of the most popular shavers online right now! 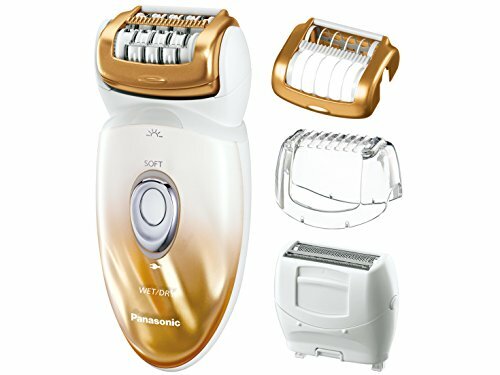 The Panasonic ES-ED50-N Multi-Functional Wet/Dry Shaver and Epilator for Women comes equipped with a lot of features to improve your shaving experience. You can purchase this wet/dry shaver in either a set with four attachments, a set with five attachments, or a set with six attachments (each growing in price). Overall, this is a very affordable set. It is a high performing grooming product with a dual-speed motor. The snap-on attachments allow for you to easily remove your hair while at home. This is not only a wet/dry shaver, but also an epilator. This comes with a shaving head with blades that are hypoallergenic; this allows you to remove hair on areas of the skin that are sensitive, and also the epilator includes a pop-up trimmer to remove hairs from the bikini areas. There is a clip-on bikini comb that gently trims the sensitive bikini area. 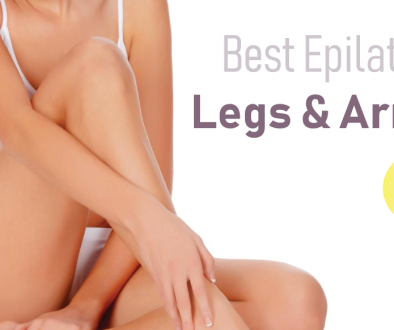 The epilation has a wide dual disc that is very smooth, conforming to your body contours. This allows for an easy shave without having any pulled or nicked areas on the body. There are also 48 rotary tweezers in this device that are very precise for epilating. This is ideal to use on both your legs and arms, removing all the hair that you need. There is also the Gentle Epilator Cap that will get rid of any thinner, shorter hairs anywhere on the body without causing a rash. You can use this shaver on both wet and dry settings, and it even works in the bath or shower. To clean this device, simply rinse under running warm water. It is also equipped with a built-in LED light, for low-light conditions to see all the hair you need to remove. After using the Panasonic ES-ED50-N Multi-Functional Wet/Dry Shaver and Epilator for Women for several months, we can say it is an amazing device. For the price, you get a lot of attachments to make grooming easy and quick, and it allows for a lot of customization. 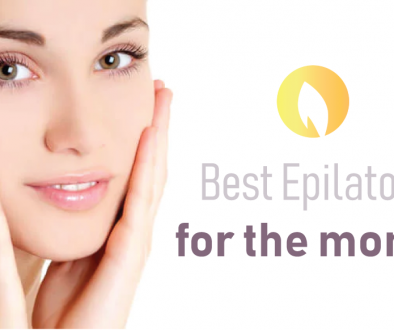 However, we recommend looking up tutorials on how to use the epilator, because if you get it wrong, it does hurt (this is normal when it comes to any type of waxing). That being said, this is a durable device with a lot of features to enhance your entire shaving/epilating experience from start to finish.